this is how you switch! 9 tips for prospective home builders: If you are planning to build a house or a bungalow, you should take certain things into account even at the concept stage. This will allow you to harvest solar energy and thus keep investment and energy costs down for decades to come. 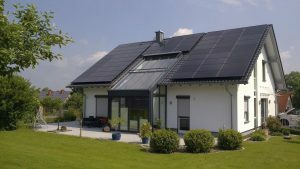 When building a new home, you should consider some basic hints so that the largest possible share of your energy demand can be covered by PV. If the orientation of your house is wrong or the roof is in shade, even complex technology will not be able to make up for such deficiencies later on. 1. Orientation of the building: favour east and west! 3. If possible, have large windows to the east and west! 4. Match the capacity of the solar generators to your electricity usage! 6. If possible, generate hot water electrically! 7. Heating: run heat pumps on solar energy! 8. Prefer local components and equipment! 9. Leave the installing to the experts! 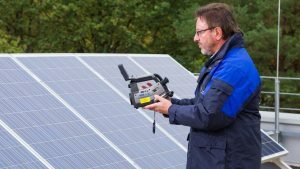 9 tips for operators: If you are using rooftop solar generators, you need to be protected from a number of eventualities, so that there are no nasty surprises during the period of operation of two or three decades. Because if you economise at the wrong point, you will suffer – eventually. 1. Never without lightning protection! 2. Sometimes lightning comes in through the cellar! 3. Quick switch-off in case of fire! 4. Also take solar batteries offline! 5. Do not underestimate lightning and hail! 6. Try to keep wildlife out! 7. Get insurance for both storage units and solar generators! 8. Prefer German components and equipment! 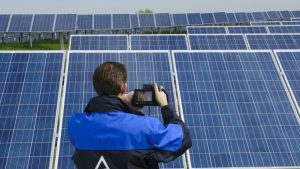 6 tips for operators of solar generators: Even though the solar panels spend their time quietly on the roof, they still need the occasional inspection and cleaning. The best time for this is March, with winter being over and sunny days ahead. Solar generators do not require maintenance: This legend has been spread for years now, meanwhile reality tells a different story. A solar generator either on the ground or on a roof should be inspected by a specialist at least once every year. And early spring is the perfect time to get it ready for the coming sunshine period. 1. Technical check-up, even if there are no visible faults! 2. Clean at least in the spring! 3. Keep damage by wild animals in check! 4. Do not forget about the inverter and the solar battery! 5. Correctly document inspections and measures taken! 6. Leave maintenance to the trained expert! 8 tips for prospective home owners: If you want to go off the grid, you need to use storage units. Solar batteries are very efficient and economical at storing electricity generated by solar panels on your own roof. That way, you can use clean energy in the evening as well as the next morning. If you want buying a storage unit to be fun and easy, there are certain things to bear in mind. If you have installed a solar generator on your roof, there is an inexpensive way to also use the electricity you generate in the evening, at night and in the morning. What you need is an efficient battery system. In order for storage to be fun, economical and go smoothly, there are a number of things to consider. 1. Battery size should reflect your needs! 2. Lead or lithium battery: a question of space – and of price! 3. Efficiency is determined during off-peak hours! 4. 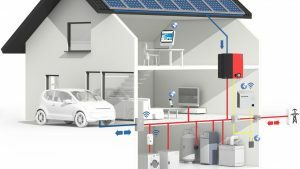 First install PV to your roof – and then the batteries! 5. Batteries can earn you money from the grid! 6. Electric lawnmowers, pedelecs or electric cars are all mobile batteries! 7. Prefer German components and equipment! 6 tips for home owners and tenants: Energy costs are rising, both for heating and for electricity. Just a few tricks will allow you to significantly decrease your expenditure. And the initial investment may be smaller than you think. These days, receiving the annual statement can be quite a nasty shock: The cost of electricity and heating has gone up yet again. But it does not take much to find and eliminate energy wasting appliances and unnecessary heat waste in your house or flat. 1. Install LEDs instead of incandescent light bulbs! 2. Turn off standby mode! 3. Lower the hot water temperature to 45 degrees Celsius! 4. 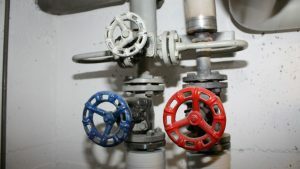 Replace gas-fired water heaters! 5. Reduce the flow temperature of the heating system! 6. Leave the installing to the experts! 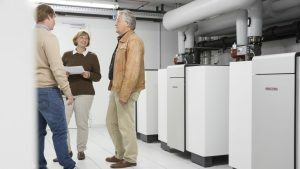 11 tips for homeowners: Heat pumps are the most efficient heating technology on the market. However, many planners and installing companies have no clue what the requirements of this technology are. That often results in mistakes. Here you will learn how to avoid them. Heat pumps are a clean alternative to gas boilers, oil furnaces or burning wood. The technology has been known for more than a century: It utilises the same principle as a refrigerator, only in reverse. 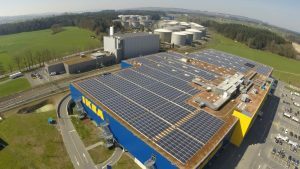 It will economically get you through even the toughest winters, as demonstrated by ten thousands of units in Switzerland, Austria and Scandinavia. 1. Look at it from the perspective of heat utilisation! 2. High-temperature flow does not work with heat pumps! 3. Performance depends on the heat source! 4. The real workhorses use ground heat! 5. Cooling makes not always sense! 6. A separate metre for the heat pump is usually not worth it! 7. Augment using solar-thermal? Better not! 8. Augment using PV? Yes, definitely! 9. Design heat pump-based systems as a multi-stage cascade! 10. 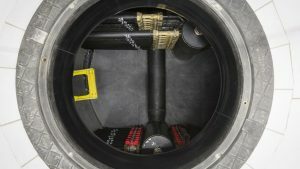 Smallest possible heat output for larger storage tanks! 11. Leave the installation to trained experts! 6 business tips: If you have large amounts of roof area, you should definitely use it for solar generators. Solar electricity substantially lowers your energy costs – a wise investment that will pay off within a few years; and generate a positive image. 1. First have your roofs assessed – and those devices that use too much power! 2. Use solar electricity for hot water! 3. 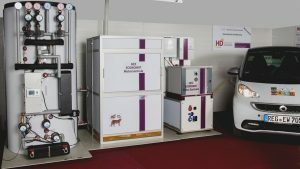 Compressed air storage systems and electric vehicles improve efficiency! 4. Run ventilation and refrigeration directly on solar energy! 5. Prefer local components and equipment! 14 tips for homeowners, tradespeople and tenants: To really lower your energy costs, always separate the equipment for hot water from that for heating in winter. Even larger modifications to the building services can amortise within a very few years. Rising energy costs are affecting more and more people, whether they live in their own homes, are tenants or run a business. One reason for high costs are outdated supply concepts in building services. In the past, a boiler was built into the house that supplied hot water for the kitchen and bathroom as well as the radiators. Modern concepts separate the two systems. And for good reason: only then can the technology work efficiently. 1. Centralised systems are (almost) always too large! 2. Hot water: Short-term high output with small buffers! 3. Heat up directly at the tap! 4. Do not underestimate start-up losses! 5. Reduce temperature of hot water to 45 degrees Celsius! 6. Electrical instantaneous water heaters are hygienic and energy-efficient! 7. Central supply only makes sense in a few kinds of buildings! 8. Replace gas flow heaters with electrical appliances! 9. Avoid hot water storage tanks if possible! 10. Run the heating system only in the cold weeks! 11. Design the heating system as a multi-stage cascade! 12. Heating system: low thermal output for larger storage tanks! 13. Reduce the flow temperature of the heating system! 14. Leave the installation to trained experts! 10 tips for operators of solar generators: If you have installed solar panels on your roof, your garage, your carport or at ground level on your property, you will require less electricity from the power grid. Here you will find tips on how you can use most of this valuable resource for your own needs. Deciding to put up a PV installation signifies a rethink. Whereas so far the electricity has been coming from the grid, it is now produced on your own property, much less expensive than the grid power. Therefore: Use as much of the solar electricity yourselves and feed as little as possible back into the grid. We will show you how it is done. 1. Reduce the electricity consumption of the building! 2. Install LEDs instead of light bulbs! 3. Turn off standby mode! 4. Make hot water electrically! 5. Run high-consumption devices during the day! 6. Do your gardening on solar electricity! 7. Heat electrically during the transitional periods! 8. Storage units increase efficiency! 10. Treasure hunt for all your family! 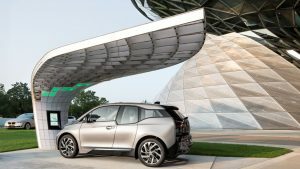 8 tips: Electric mobility – this is how you switch! 8 tips for electric vehicles: Back in the day houses were heated with gas or oil. This is now a thing of the past. There is a revolution coming to cars as well: With electricity generated by wind and sun, electric cars are unbeatable in terms of pricing. With decreasing prices, the switch can take place swiftly – if you keep certain things in mind. Everyone is talking about electric cars, but the energy transition has not yet really arrived in transportation. Most people think it is too expensive, and the tabloids keep repeating it without giving it a second thought. But it you are clever, you can already save a lot of money now. Do you want to know how? Then keep reading! 1. Know the true price for your vehicle! 2. Start small, grow slowly! 3. Turn your house into a filling station! 4. Choosing the right charging technology! 6. 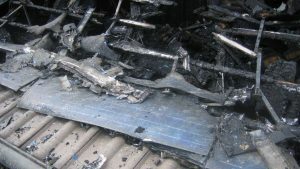 Use mobile batteries proactively! 7. Towing has to be possible! 12 tips for solar customers: If you are intending to use solar generators and solar batteries, you should be absolutely certain: How is your investment covered from a legal standpoint? Who is liable if something goes wrong? What happens in case of faults or wear and tear? Your hard-earned money is worth you putting it into the right hands, so that you do not have any nasty surprises. Because if you economise at the wrong point, you will suffer – eventually. Solar power is cheap. The generators promise at least 20 years of low-costs electricity. But at the beginning of such lucrative self-reliance there is a price that has to be paid: The technician has to buy in the components for you, in effect giving you an advance. He then installs them as well, which creates labour costs. All of that adds up to a few thousand euros, which begs the question how you can secure such an investment against interruptions, faults, damages or wear and tear. Law courts may help to settle disputes, but that cannot make up for the pleasure of an efficiently working solar installation. 1. Do not let the falling prices tempt you into becoming reckless! 2. Better than any insurance is a solid installation company! 3. Only buy brand-name products from European manufacturers! 4. Always install system packages, never mix and match! 5. Hold the importer liable! 6. Protect your investment by monitoring and regular maintenance! 7. Make sure all provisions of the warranty are explained to you in detail! 8. Run through what can go wrong! 9. Make sure suppliers have provisions! 10. Put your insurance company to the test! 11. Find out about return and recycling! 12. Leave installing and maintenance to the experts! 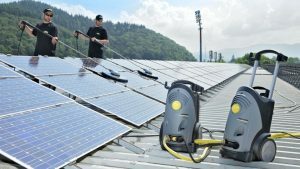 7 tips for operators of solar generators: Cleaning is the national pastime! We clean our flats, we clean our cars, some of us even clean our shoes – or our spectacles. Solar generators also occasionally need cleaning, especially in the spring. But beware: It is not a game and should be left to the professionals. Solar generators do not require maintenance. This myth has been around for years, but the truth is slightly different. Solar generators consist of solar panels, which in turn are covered by large panes of glass. Depending on the place and environment, the glass fronts need to be cleaned – sometimes once every few years, sometimes every spring, sometimes every couple of weeks, or never at all. This is a matter of how much dirt would harm the expected solar yield. 1. Have an inspection every spring, even if there is no visible damage! 2. Ascertain what kind and how much dirt there is! 3. Solar panels are not like windows! 4. Everyday measures will not do! 5. Correctly secure any workers on the roof! 7. Leave the trained technician to do the work! 13 Tips for people wishing to truly be self-reliant. Really independent, not only for heat in winter. Technological advances make it possible: By combining solar power with a sufficiently large cogeneration unit and storage batteries, you can supply your home self-reliantly – at least when it comes to energy. And this will become even more efficient if you also run your car on (self-produced) electricity. But: There are a number of pitfalls that will have to be taken into consideration. 1. Analyse the costs and risks of the grid-supply! 2. Determine roof and other usable areas! 3. Determine electricity demand during the winter! 4. Find the right balance! 5. Dimension the battery precisely! 6. Definitely switch to electric mobility! 7. Plan for a minimum of fuel use! 8. Do not underestimate waste heat! 9. Fuel cells: Cold cogeneration units are still very expensive! 10. Exhaust gasses are the one drawback of a cogeneration unit! 11. Determine maintenance costs beforehand! 12. Plan for emergency power and other backups! 13. Leave the installation to trained experts!